We offer several product options for cats and canines. One of Dr. DuBose’s most recommended lines is for joint health. 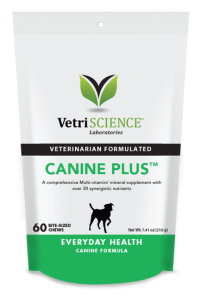 VetriScience’s formulas feature time-tested ingredients, including glucosamine, to support mobility, flexibility and comfort. Glucosamine is necessary to maintain joints and connective tissues, which are affected by aging and wear and tear. Shortages of glucosamine often lead to deterioration of synovial fluid, connective tissues, joints and muscles. We particularly endorse the Glyco FLEX® product line but carry many VetriScience supplements for behavioral issues, immunity, better digestion and overall health. Great for seniors with arthritis or dogs that struggle on slippery surfaces. 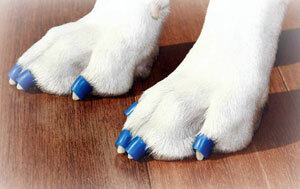 With ToeGrips® their nails have instant traction, lessening the chance to slip, slide and fall. Get them and worry less about injuries. You’ll see more confidence in your pet, and you can stop buying those expensive doggie floor mats. 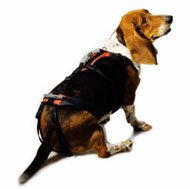 The Help ‘Em Up harness is a favorite of canine rehabilitation professionals. It puts to shame the idea of using a towel to lift or support a mobility-impaired dog. This heavy-duty harness is designed with soft, comfortable padding and waterproof Neoprene that’s machine washable. An added benefit is neuro-stimulation. With the hind-end support linked to the front, the dog’s entire nervous system continues to receive stimulation, reminding its brain that it still has a hind end. For the best fit, consult a veterinary rehab professional.